Mini Sprite Editor is a small pixel art tool i developed out of mostly boredom (or at least it started that way) in a weekend using Visual Basic 5. Since the first version i added a few extra features and fixed a couple of bugs, but the version you can download from this site is more or less the same. 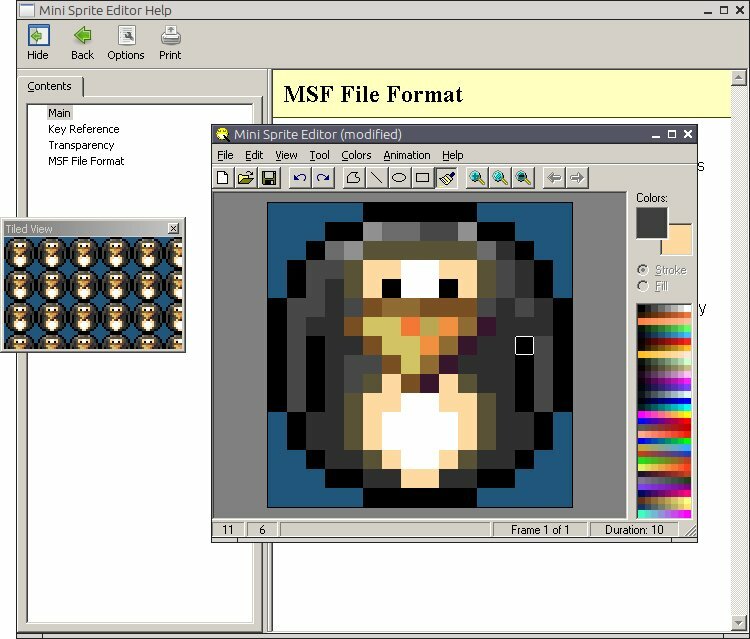 Click here to download Mini Sprite Editor 1.0.7. This is a zip archive that contains the program's setup and source code inside another archive called source.zip. Important: please note that the included help file does not mention the quick brush creation with Shift+Drag, this will be fixed in a future version.